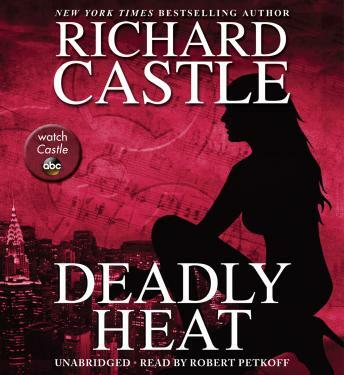 Nikki Heat and Jameson Rook race to stop a deadly threat from Heat's past as well as an all-too-present serial killer, in Richard Castle's follow-up to the New York Times bestseller Frozen Heat. Determined to find justice for her mother, top NYPD Homicide Detective Nikki Heat continues to pursue the elusive former CIA station chief who ordered her execution more than a decade ago. For the hunt, Nikki teams once again with her romantic partner, Pulitzer Prize-winning investigative journalist Jameson Rook, and their quest for the old spy and the motive behind the past murder unearths an alarming terror plot, which is anything but ancient history. It is lethal. It is now. And it has already entered its countdown phase. Complicating Heat's mission to bring the rogue spy to justice and thwart the looming terror event, a serial killer begins menacing the Twentieth Precinct, and her homicide squad is under pressure to stop him, and soon. Known for his chilling stealth, the diabolical murderer not only singles out Nikki as the exclusive recipient of his taunting messages, he names her as his next victim.